Daily Illuminator: Munchkin Panic in Warehouse 23! October 30, 2014: Munchkin Panic in Warehouse 23! After playing Munchkin Panic many times at Austin Comic Con, Nashville Comic Con, and the Munchkin Panic release party, I'm excited to finally see it in Warehouse 23! 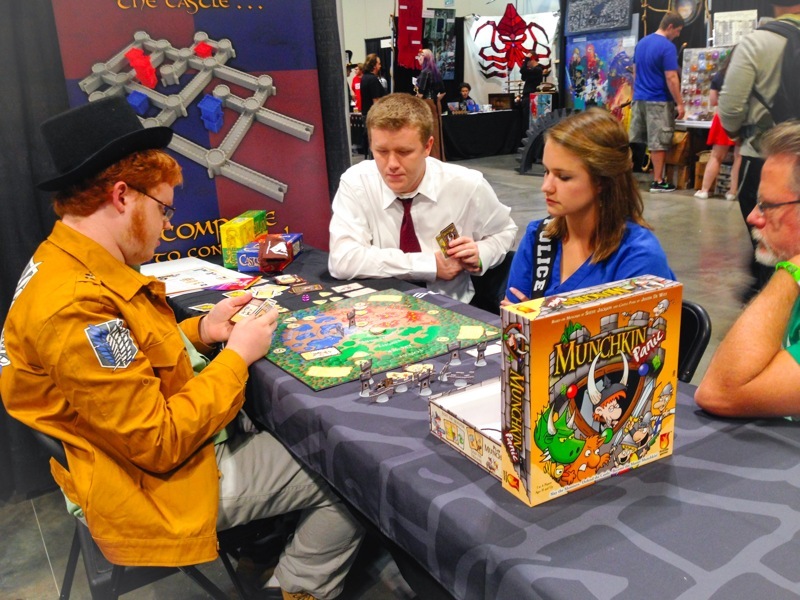 Fireside Games' Munchkin Panic brings Munchkin out of the dungeons and up defending towers. 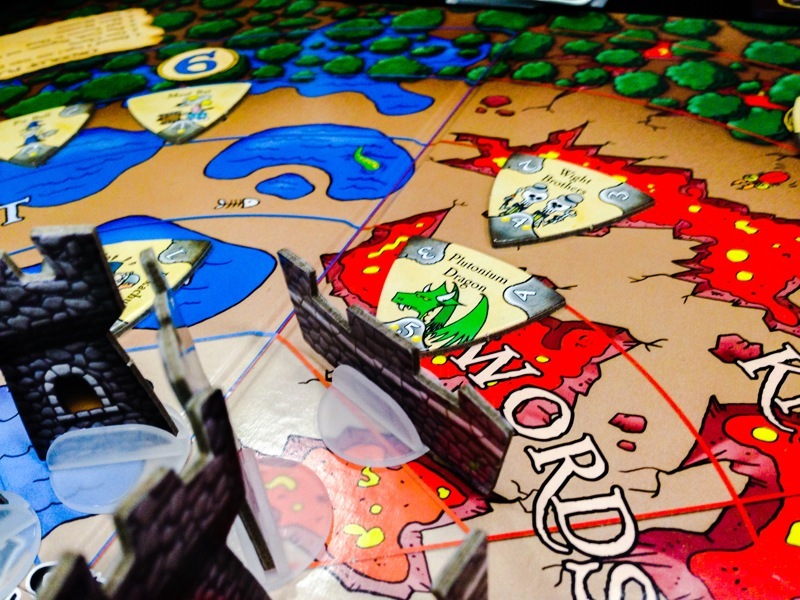 In this semi-backstabbing, semi-cooperative, tower defense board game you aim to keep the castle standing and get the most loot. And remember: towers should be defended -- well, but certainly, not at your own expense! I watched Castle Panic fans and Munchkin fans, as well as folks new to gaming entirely, light up when playing this excellent blend of the two games. I look forward to exposing more gamers and future-gamers to this one.